There is a new stamp set called Inspired Words, and it is my favorite stamp in the Annual Inspirations Idea Book. 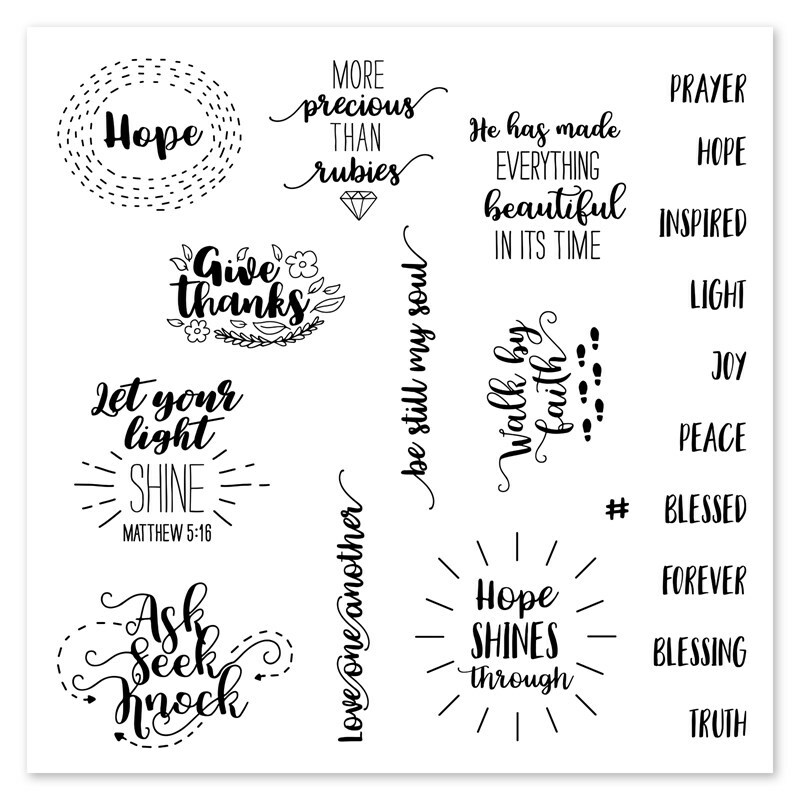 It is a set of 21 inspirational stamps in beautiful fonts. Let me show you what I made, and then I will share the stamp. I am so glad the sun is shining today so that you can see the beauty of the Bashful Glitter paper. 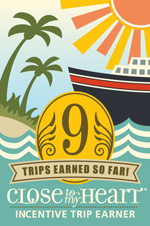 I used a couple of other stamps on this card, too. There is a triple line stamp on the Thanks a Million stamp, and I used that with Bashful ink to make the background of the card. 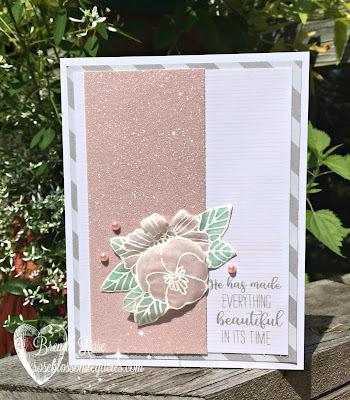 I embossed the flowers from Happily Ever After with white embossing powder on vellum, and then I water brushed the back with Bashful and Willow ink. The diagonal stripe paper is from Basic Fundamental paper pack. 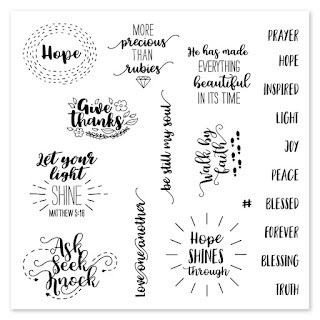 This is the Inspired Words stamp set. Such a beautiful set!